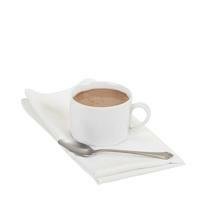 Single serve reduced calorie hot cocoa mix is perfect for foodservice and OCS operators. It's rich and creamy hot cocoa that makes a dark and delicious beverage to be enjoyed anytime of the year. 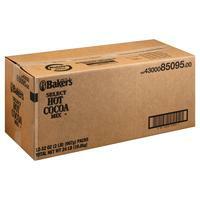 Try the full line of Cafe Delight brand hot cocoas and cappuccinos. As per label. Recommended gram throw: 4.5 - 5 grams of mix per 1 oz. of hot water.